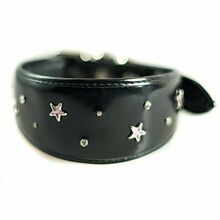 Our soft and comfortable leather sighthound collars are stylish, look smart and are designed for sighthounds and other long necked breeds who need extra padding on their delicate necks. 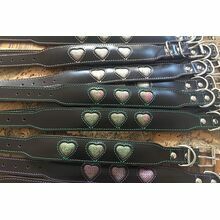 All our sighthound collars are fully lined, softly padded and are slightly wider than standard dog collars to make them more comfortable and safer to wear for Whippets, Greyhounds, lurchers and other hounds. 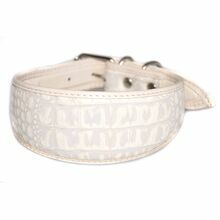 These collars are also often referred to as fishtail, greyhound or whippet collars. 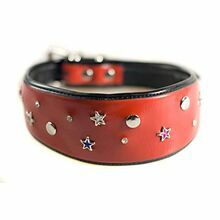 Read more about advantages of special sighthound collars in our blog. 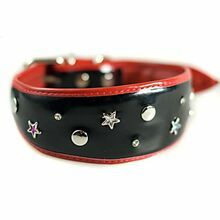 We are sure you will find something for your hound in Dog Moda's sighthound collar collection - all ready in a great range of colours & designs available for next day delivery from stock, as well as unique custom made and bespoke service. 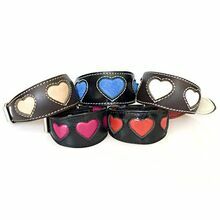 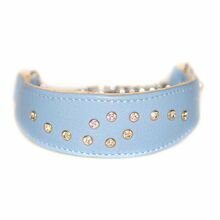 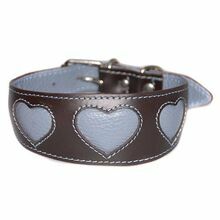 Please browse through our sighthound collars collection. 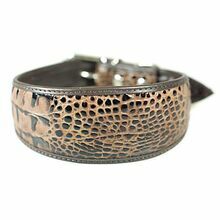 We are sighthound collar designers based in London, UK who handmade high quality, soft and padded leather sighhound collars that are smart, fancy, stylish, yet practical for all sighthounds, including Whippet, Italian Greyhound, Greyhounds, Afghan hound, Saluki, Azawakh, Lurcher Deerhound, Borzoi, Basenji and others hounds. 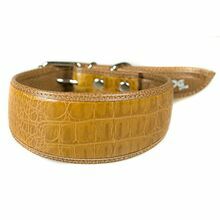 Please contact us if you have any questions or need help selecting the right sighthound collar for your hound.